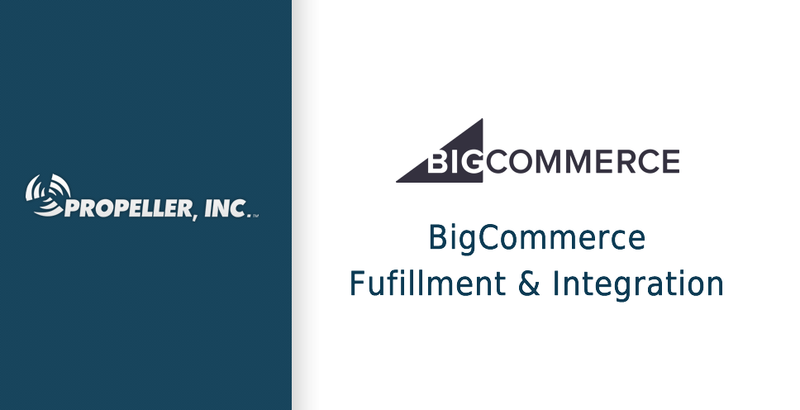 We have added BigCommerce to our list of eCommerce solutions that Propeller provides fulfillment and integration for. Therefore, if you own a business that uses BigCommerce we can help you grow, due to automating your fulfillment process. Integrating your eCommerce solution with Propeller, we can process your order and get them shipped efficiently and cost-effectively. Furthermore, the quicker an order can get to your customer, the more satisfied they will be! All of which can be done without hiring additional staff, facilities, and equipment. At Propeller, Inc. customers are able to securely connect with BigCommerce and over 30 other eCommerce solutions. Therefore, helping you automate your fulfillment process. Because of the integration with Propeller, you will be able to automatically send orders, receive shipment confirmations and sync inventory with Propeller, Inc. Finally, to learn more about an integration from Propeller, please see our ECommerce, Shopping Cart & Sales Channel Fulfillment page under the services section. BigCommerce is one of the most popular eCommerce shopping carts on the market. It is a terrific tool for online merchants to easily set up an online store and add products and shipping options. This software gives you all the features you need to build an online store, but BigCommerce is much more than a website builder. They give you the tools to streamline your online business so you can focus on what you do best, selling.